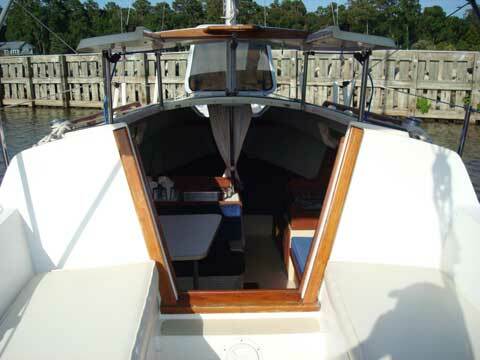 Full stainless rails and lifelines, recessed genoa track, adjustable travelers with controls. Mold in non-skid surfaces. 2010 Mercury 4hp long-shaft 4 stroke motor and gas tank. 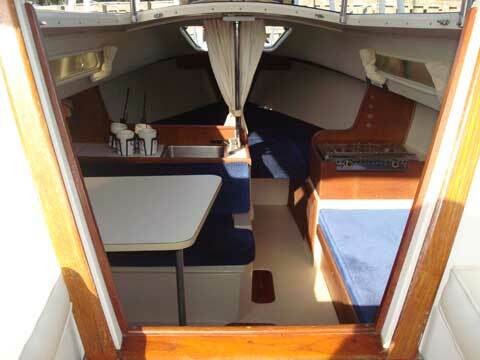 main sail and jib, main sail cover, manuel bilge pump, 4 winches stainless, clear forward hatch, dinette style table converts to berth, forward v-berth, aft quarter berth, port-a-potty, sink stainless, 5 gal. New bottom job in 2012. Boat is in good shape and ready to sail. Sailing Texas web site is very effective. 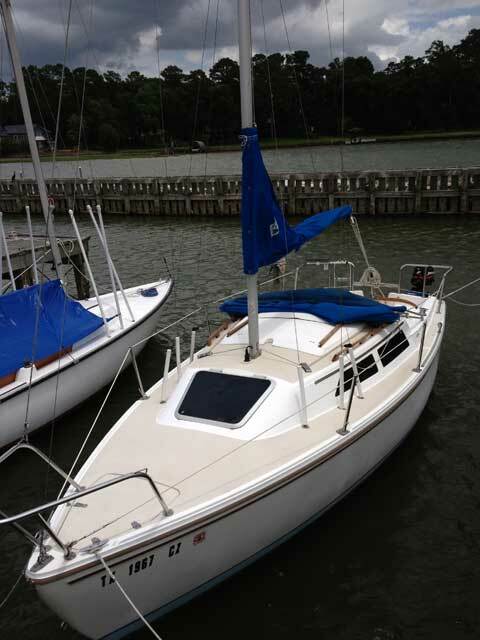 I sold my Catalina 22 in 10 days. The first response to this ad was less than 24 hours.